Google Voice app update is now available with new interface and features. Also, inbox includes new separate tabs for text messages, calls and voicemails. Conversations stay in one continuous thread, so you can easily see all your messages from each of your contacts in one place. 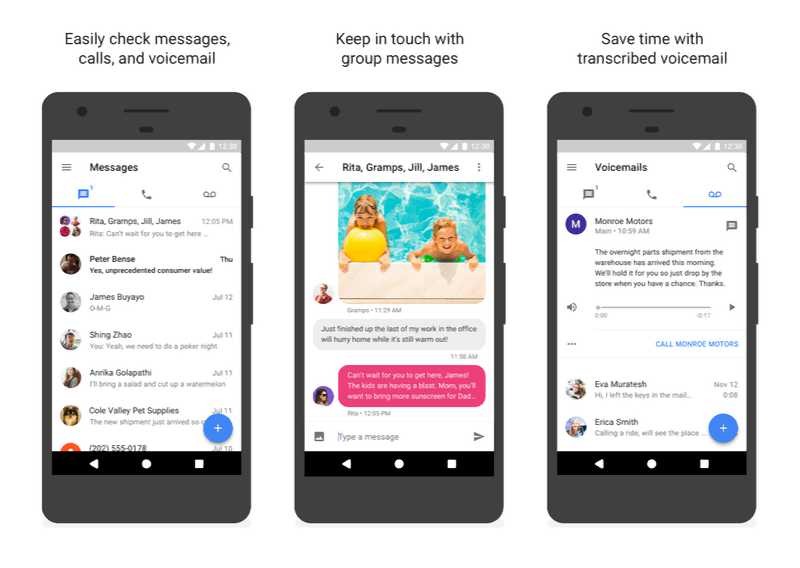 The latest Google Voice app update also includes some features that until now were only available for users who had switched to Hangouts for some Voice functions like texting and voicemail. Photo MMS is now supported by Google Voice on all platforms. Additionally, images show up inline in your conversations. 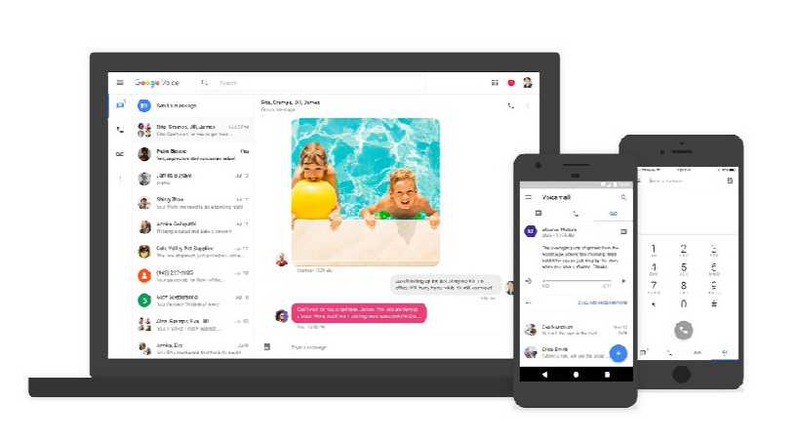 Group texting is also now supported by Google Voice app. With today’s update, group conversations are labeled very clearly and should work as you’d expect them to. Google added voicemail transcriptions for Spanish in this update. Other features include in notification replies on Android and 3D Touch support for iPhone. Google Voice app new interface. The company also says that users can expect regular updates and new features for the mobile apps and web client. The new Google Voice app update is now rolling out for Android, iOS, and on the web.